Welcome to Easter Egg Theatre. Where eggs are spared the tragic demise of being scrambled or poached in exchange for fame and glory. This moderately easy craft project is the result of trying to find a funky alternative for decorating Easter eggs that didn’t involve any dyes or stickers. This is basically an eggy version of a classic shoebox diorama. 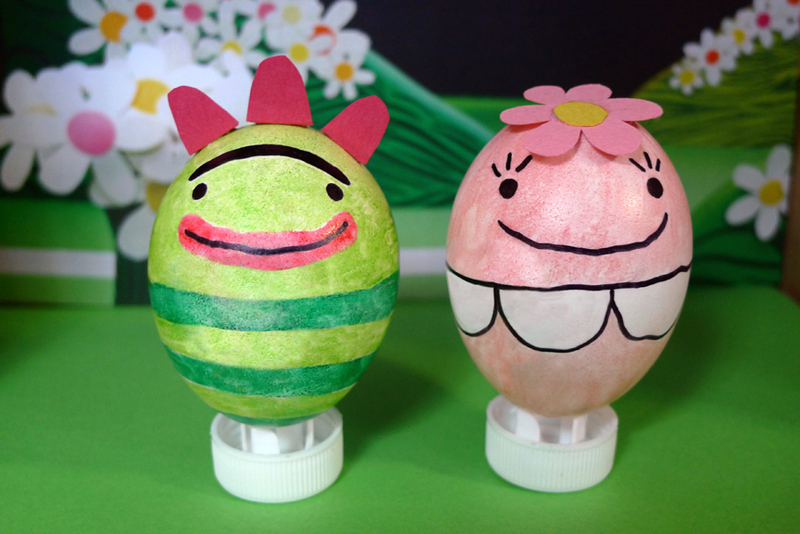 With the markers decorate your eggs with your favorite celebrity, cartoon character, family member etc… Use the bottle top as a base for your egg to stand on. If they’re wobbly add a touch of glue. Cut out the photo copied background that coordinates with the theme of your egg character to fit in the bottom section of the shoebox. Use colored construction paper on the inner side of the shoebox to create a floor. 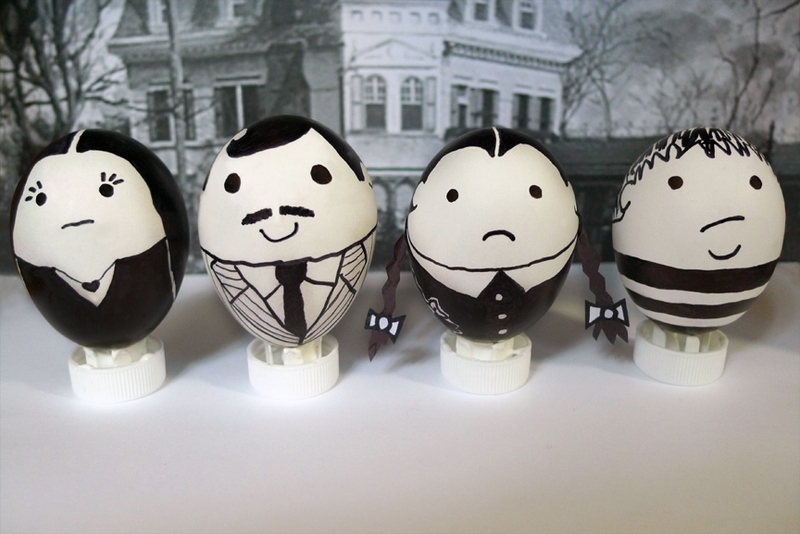 Place egg characters into the shoebox diorama and voila, let the show begin! What an absolutely awesome idea!! 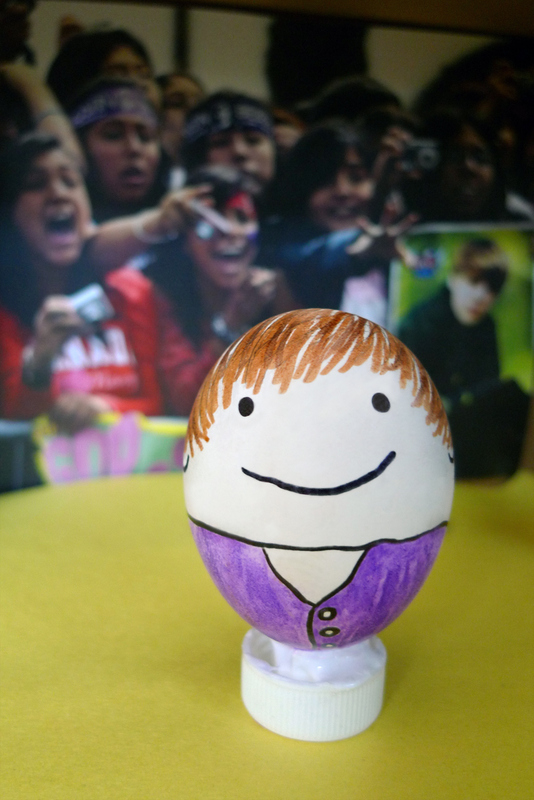 Justin Bieber is just too cute! I’ll think I’ll try before the Easter celebrations are completely gone and out of the question- or for just a fun craft project with the kids- thanks for the super idea!